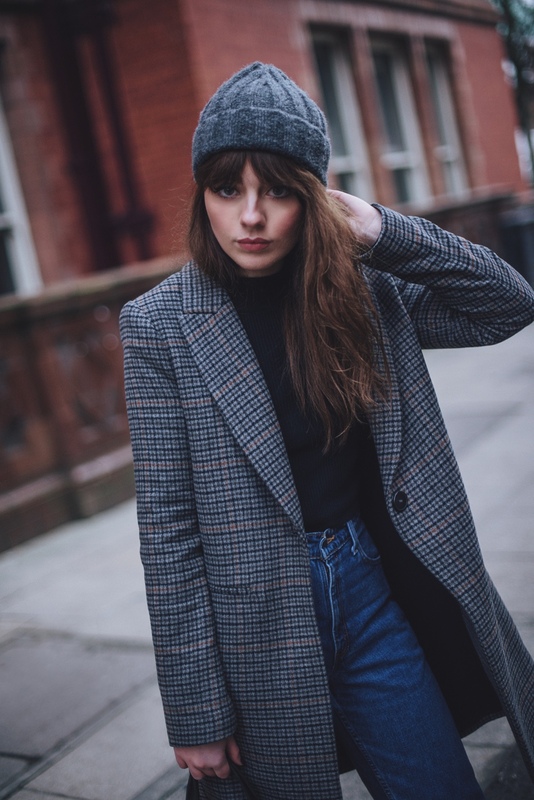 Masculine style pieces have made a massive come back recently – think tailored two pieces, crushed velvet blazers, and boyfriend-fit coats. 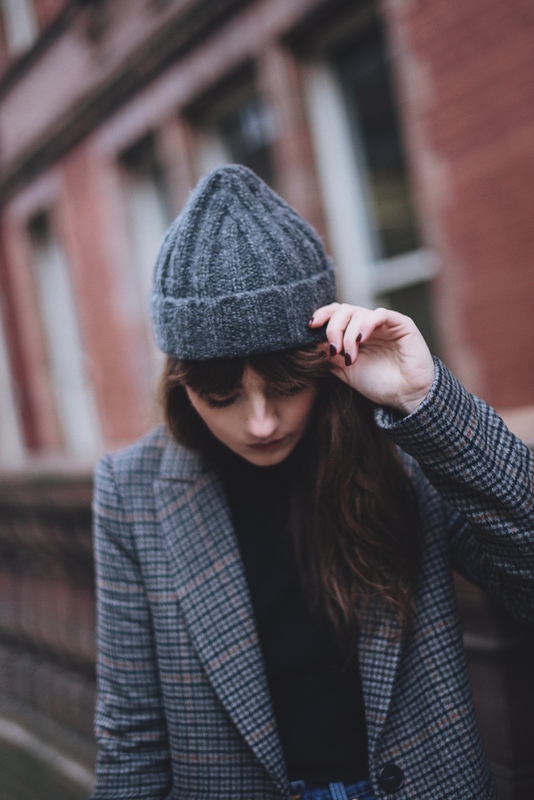 This is obviously fantastic news if, like me, these type of pieces are definitive of your personal style – especially during the colder months. 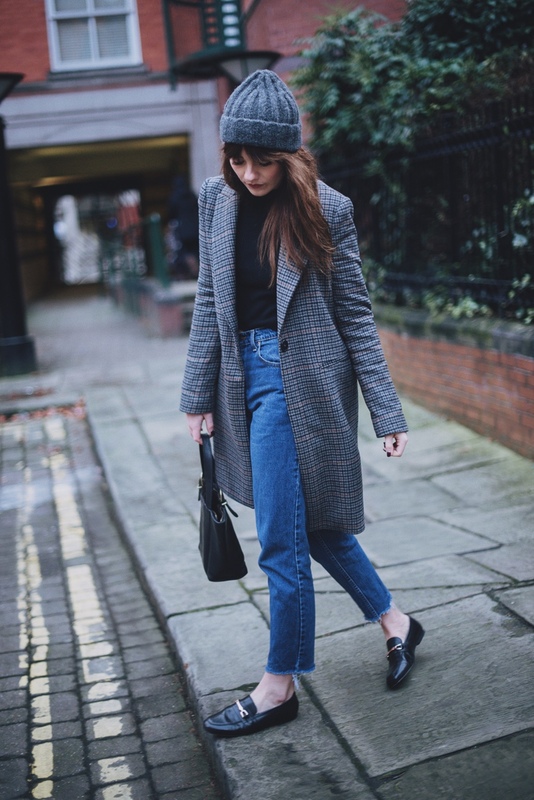 I love how this checked Zara number looks with a classic pair of Levi jeans – it has such a casual feel to it, but looks put together at the same time. 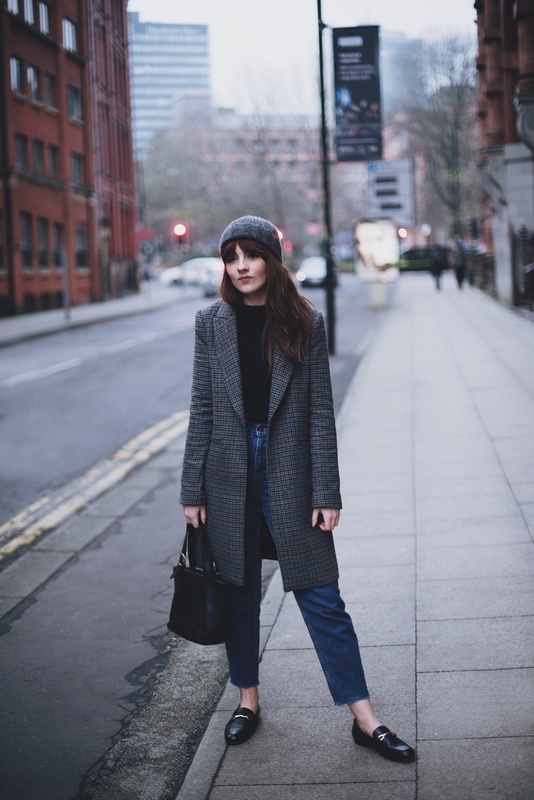 Sometimes it’s difficult to decide on an outfit when it’s about 3 degrees outside, and all you want to wear is some kind of giant fluffy onesie – this is where a masculine/statement coat becomes your best friend. 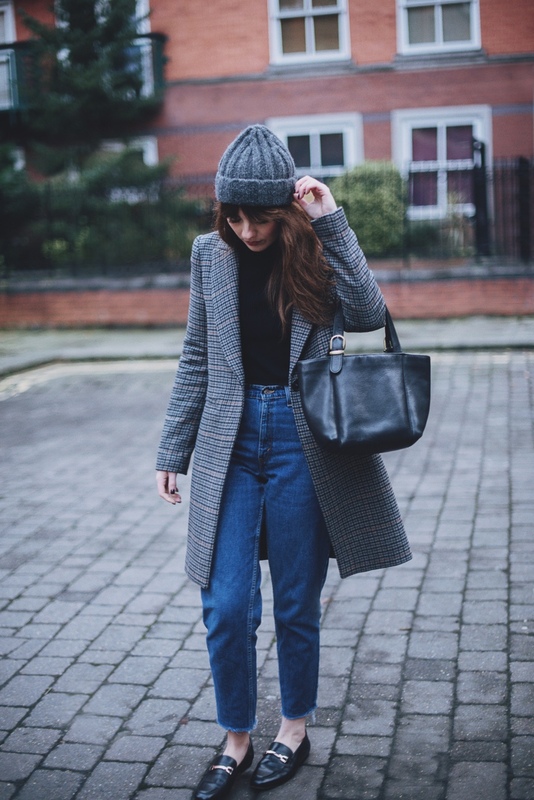 Roomy enough to fit a jumper underneath, and looks great with a simple scarf and chunky hat for that added warmth. 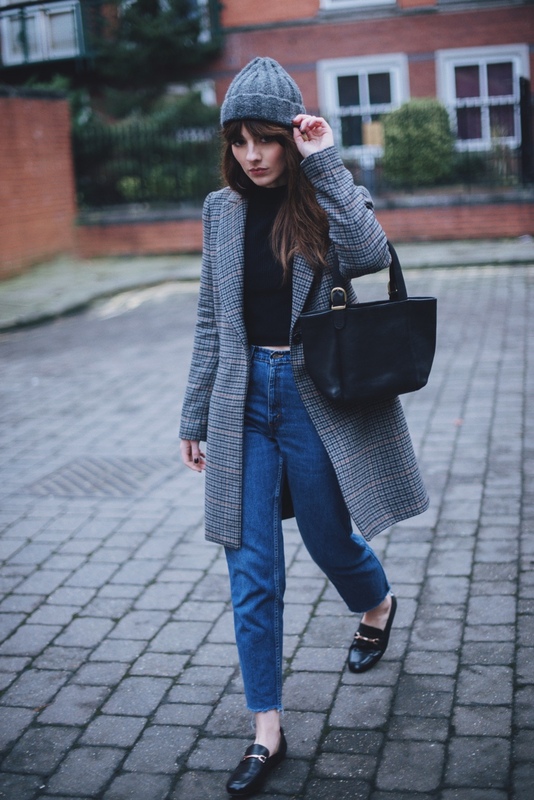 It also looks amazing with a Victorian style blouse and some pointed heels for a dressier occasion, making it (in my eyes) the perfect investment piece! 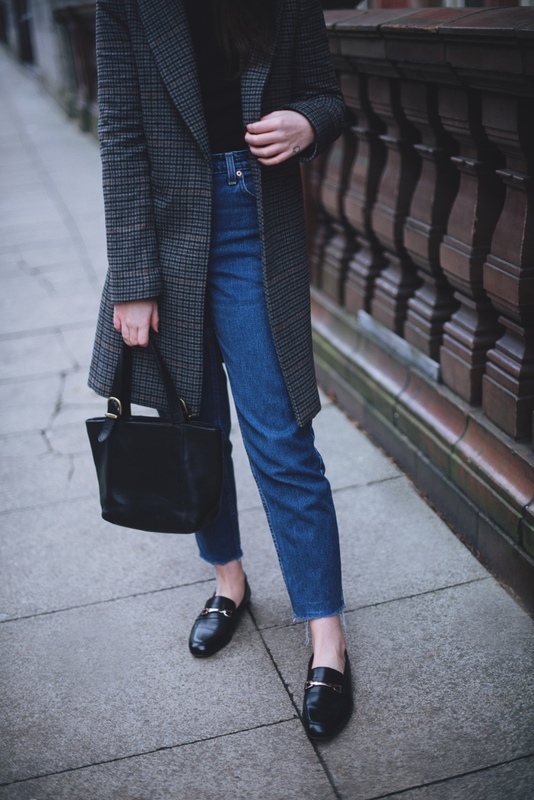 Paired with my favourite loafers and a cute bucket style bag, it just adds that playful vintage charm that I love so much – I never like my outfits to look too ‘serious’ and I’m always most at home when I’m creating a juxtaposition with my outfit. 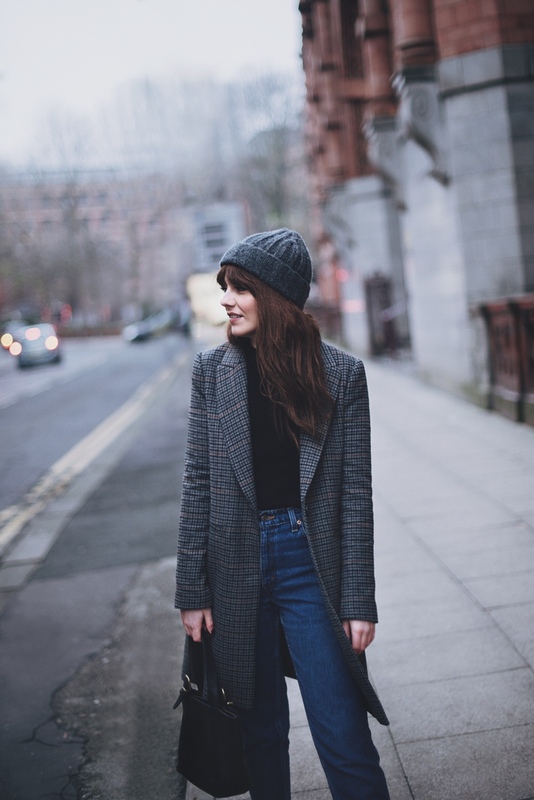 Whether it’s two different eras of fashion, characters in a film, or people walking past me on the street. 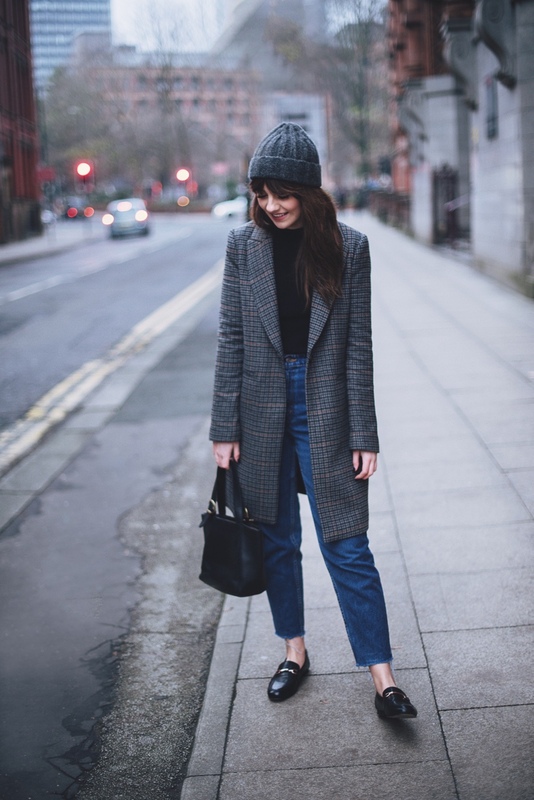 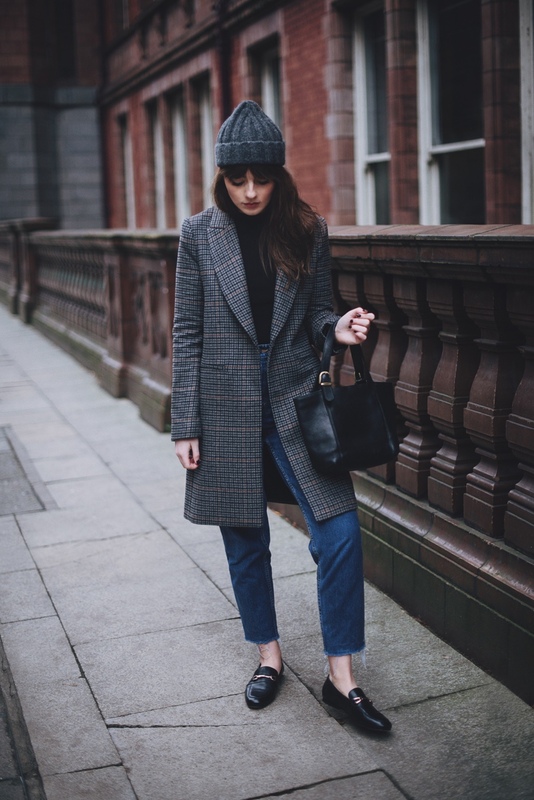 I think I’ll definitely be getting lots of wear out of this beauty over the coming months – Zara have some really great pieces in at the moment so I’d recommend having a little nosy if you’re in the market for a new coat/jacket! 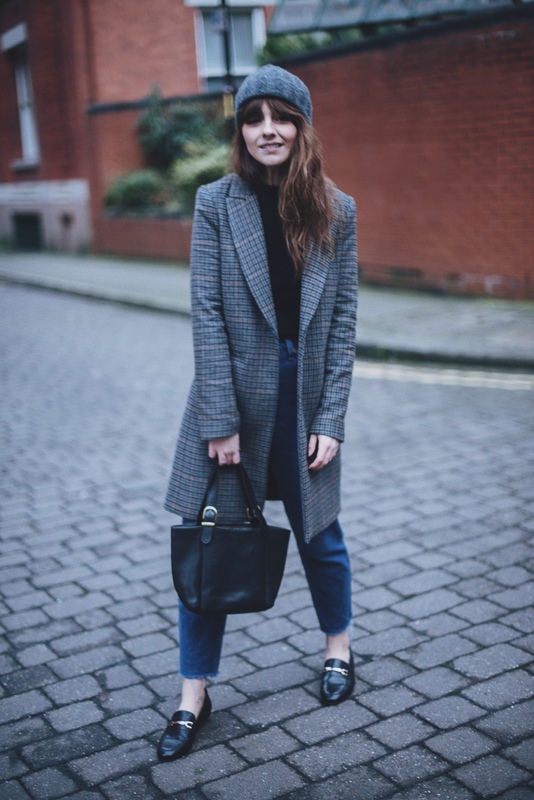 I really hope you enjoyed this little look and I’d love to hear how you’d style the masculine coat this season! 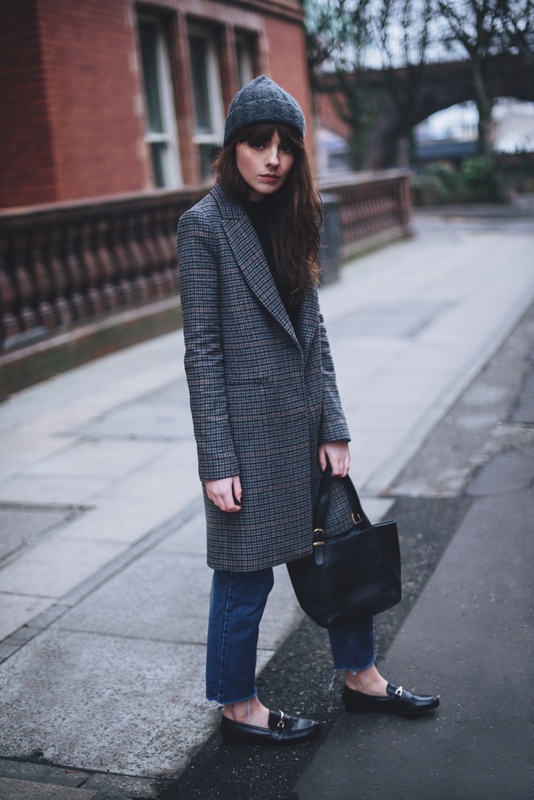 How did the sizing run on the coat?